stylos: Why did the Romans rename Jersusalem "Aelia Capitolina" in 135 AD? Why did the Romans rename Jersusalem "Aelia Capitolina" in 135 AD? 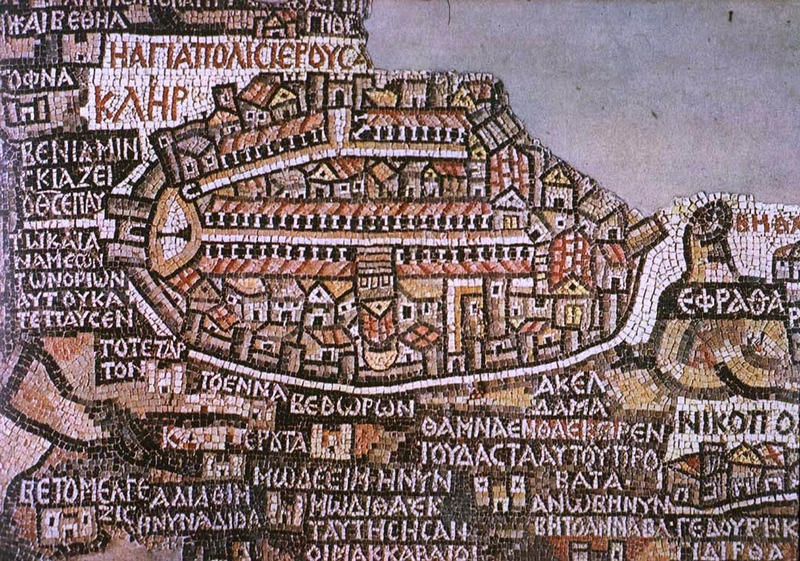 Image: Jerusalem depicted in the sixth century Madaba mosaic map, on the floor of a Byzantine church in Madaba, Jordan. One of the great things about teaching an introductory New Testament course to undergraduates semester after semester is getting the questions to which you do not know the answer. Aelia Capitolina, city founded in ad 135 by the Romans on the ruins of Jerusalem, which their forces, under Titus, had destroyed in ad 70. The name was given, after the Second Jewish Revolt (132–135), in honour of the emperor Hadrian (whose nomen, or clan name, was Aelius) as well as the deities of the Capitoline Triad (Jupiter, Juno, and Minerva). A sanctuary to Jupiter was built on the Temple Mount, and statues of Roman deities were erected in the city, in intentional violation of Old Testament law. The area was walled and a large foreign population imported; Jews were generally forbidden entrance to the city. The present walls of the Old City of Jerusalem follow the layout of the Roman walls. The name was used until Christianity became the official religion of the Roman Empire in the 4th century. So, I now have an answer to the question.